Gingerbread cake 1 1/4 lb of flour. 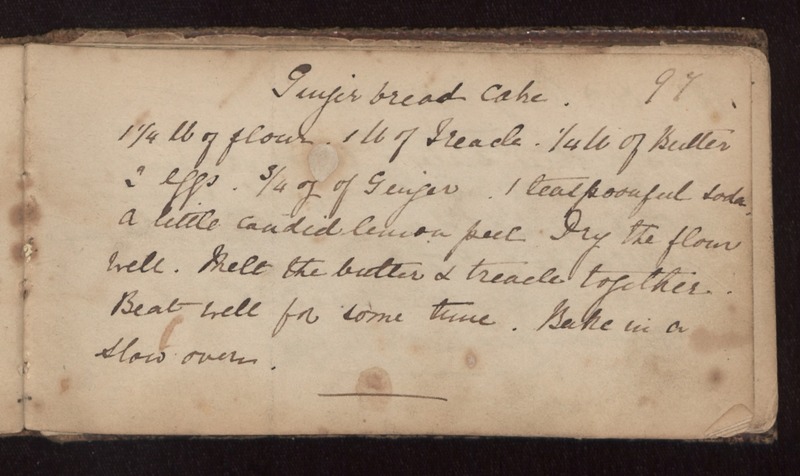 1 lb of Treacle 1/4 lb of Butter 2 eggs 3/4 oz of Ginger 1 teaspoonful soda, a little candied lemon peel Dry the flour well. Melt the butter + treacle together. Beat well for some time. Bake in a slow oven.